Something is wrong with Eddie Hobson Sr., father of four, sometime history teacher, quiz master, black humorist and virtuoso invalid. His recurring fainting spells have worsened, and with his ingrained aversion to doctors, his worried family tries to discover the nature of his sickness. Meanwhile, in private, Eddie puts the finishing touches on a secret project he calls Hobbstown, a place that he promises will save him, the world and everything that's in it. 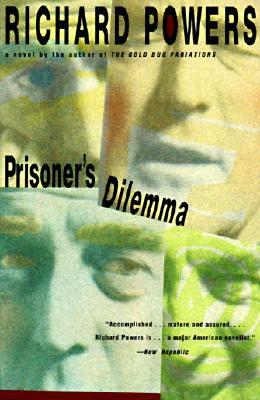 A dazzling novel of compassion and imagination, Prisoner's Dilemma is a story of the power of invalid experience. RICHARD POWERS is the author of ten novels. The Echo Maker won the National Book Award and was a finalist for the Pulitzer Prize. Powers has received a MacArthur Fellowship, a Lannan Literary Award and the James Fenimore Cooper Prize for Historical Fiction. He lives in Illinois.